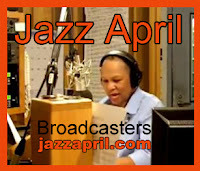 If you host or produce a broadcast or webcast that features jazz, even occasionally, you too can participate in Jazz April. All you have to do is plan a Jazz April program and let us know about it. Or, if that's not possible within your format, try some of the other suggestions you'll find on our Broadcasters page. During Jazz April, jazz radio, tv, and web hosts will play a key role in informing listeners and viewers everywhere about jazz events in their communities as well as in other parts of the globe. 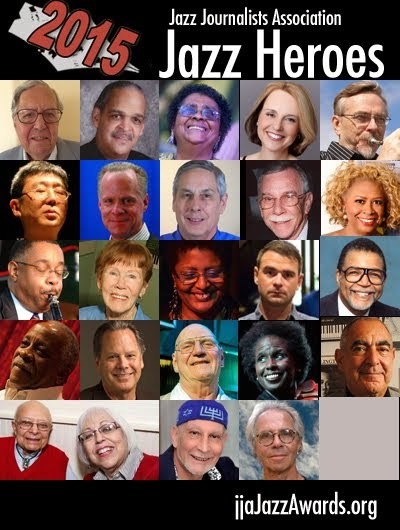 Their programs will also be, for many people, the "soundtrack" for Jazz April: a readily available source of great jazz listening throughout the month. Sign up now on our Broadcasters list: That way, we can remind you to send us your JazzApril program plans (we'll post a list of JazzApril programs in April) and keep you updated as we roll out new parts of the JazzApril campaign. In the meantime, please "follow" JazzApril on Twitter@JazzApril_JJA; and include #jazzapril (as well as #celebrateJAM and #jazzday where posssible) in your own tweets. We'll also be posting JazzApril news and tips on the. JJA Facebook page . Radio is the way many of today's jazz fans first learned about the music, and radio (and now webcasts) are the way many people around the world continue to keep up with the music they love most---jazz. Television made it possible to keep jazz in front of a large popular audience in the mid-20th century; today tv and videos still give many the best view they can have of live jazz performance. We believe that, despite recent cutbacks in jazz programming in some places, jazz still plays an essential role as both culture and entertainment. Let's make that inescapably clear during JazzApril--- and every day thereafter. Image: Rhonda Hamilton, host of MidDay Jazz on WBGO in Newark, N.J.